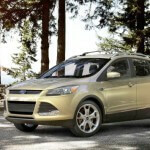 The 2013 Ford Escape (known as Kuga in Europe and Asia) is a midsize five-passenger SUV that has a competitive list of technology and safety features. 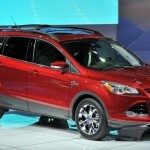 The all-new 2013 Ford Escape replaces the 12-year-old model of the same name, that was one of the best-selling small SUV ever. 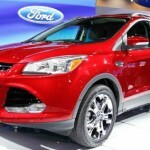 The all-new Ford Escape competes with the Chevrolet Equinox, Honda CR-V, Toyota RAV4, Kia Sportage and Mazda CX5. 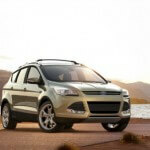 The new 2013 Ford Escape is available in S, SE, SEL and Titanium trims, in either front or all-well drive. 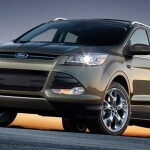 The 2013 Ford Escape S (MSRP from $ 22,470) comes with 17-inch steel wheels, full power accesories, an integrated blind-spot mirror, a tilt-and-telescoping steering wheel, air-conditioning, cruise control and a six-speaker sound system with a CD-player and auxiliary audio jack. Options for the S include MyKey parental controls and steering-wheel audio controls. 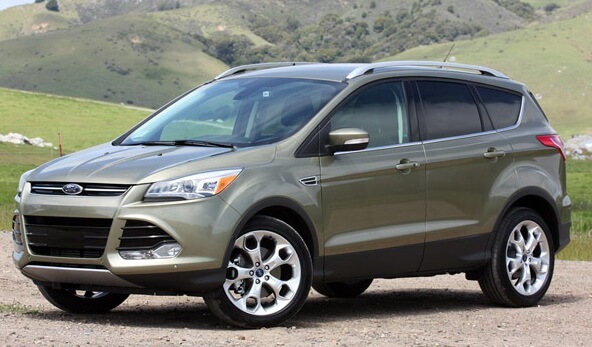 The SE trim adds 17-inch alloy wheels, a turbocharged engine, foglamps, automatic headlights, reclining rear seats and steering-wheel audio controls. Options for the SE include 18-inch wheels, a power liftgate, panoramic sunroof, dual-zone automatic climate control and a navigation system. 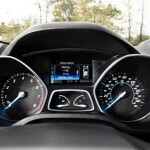 The 2013 Ford Escape SEL adds an auto-dimming rearview mirror, dual-zone automatic climate control, heated sideview mirrors, the MyFord Touch electronics interface, leather upholstery, interior ambient lighting, an eight-way power driver seat, heated front seats and a nine-speaker sound system. The top-of-the-line Titanium adds 19-inch wheels, a more powerful engine, keyless ignition, keyless entry, remote start, upgraded leather upholstery and the Sony audio system. 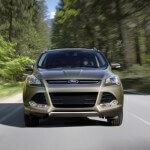 The all-new 2013 Ford Escape is the first Ford SUV to combine class-exclusive technology to automatically slow the vehicle when it’s cornering too fast (Curve Control) or help accelerate through a turn (Torque Vectoring Control). The new Intelligent 4WD System helps deliver outstanding handling on pristine pavement and in adverse conditions as well, along with excellent traction off-road. 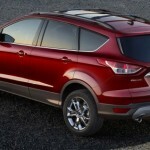 Standard and only available on the Ford Escape S is a 2.5-liter four-cylinder engine with 168 hp and 167 lb-ft of torque. 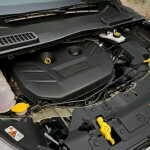 The SE and SEL trims come standard with a new turbocharged 1.6-liter four-cylinder EcoBoost engine that makes 178 hp and 184 lb-ft of torque. 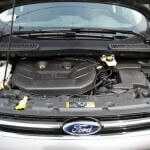 Optional on the SE and SEL and standard on the Titanium is a turbocharged 2.0-liter inline-4 EcoBoost engine that produces 240 hp and 270 lb-ft of torque. 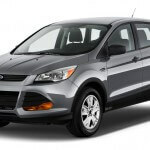 All 2013 Ford Escape come standard with a six-speed SelectShift Automatic transmission which allow drivers who want more hands-on experiences to manually control gear selection from a switch on the left-hand side of the shifter. 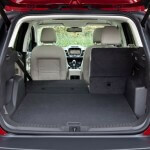 The standard safety features of 2013 Ford Escape include ABS, traction control, stability control, front-seat side airbags, a driver knee airbag and full-length curtain-type airbags. 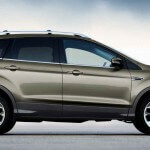 Some photos of the all-new 2013 Ford Escape you can see in our images gallery. 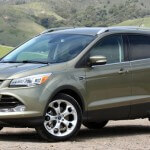 Posted on October 21, 2012, in 2013 Car Models, Ford. Bookmark the permalink. Leave a Comment.